SUVs truly provide a rich experience for the road. From the features to the spaciousness, there’s just something about taking a long road trip with your friends and family in an SUV that makes you feel safe, cozy, and comfortable. With the 2019 Honda CR-V, you’ll definitely have this feeling. The 2019 CR-V provides a large selection of technology, comfort, and safety features. Whether you’re traveling around North Carolina or across the country, the CR-V is an excellent option for an SUV. You and your passengers will enjoy each journey! 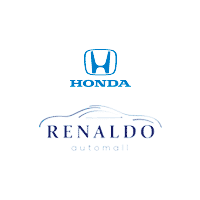 At Renaldo Honda, we offer an extensive selection of automobiles for you to choose from. Looking for a car, van, SUV, or truck? We’ve got you covered. We know how important it is to offer a diverse inventory. We’re here to give you plenty of options to choose from. Take a look at our selection online. You can browse by price, models, body type, year, fuel type, features, and much more. We’re certain you’ll find something you love! In order to help you become more acquainted with all the 2019 CR-V has to offer, we’ve taken a closer look below. Keep reading for more information. When it comes to engine options for the CR-V, drivers have two different choices. To begin with, there’s a 2.4-liter inline-4 engine that produces 184 hp and 180 lb-ft of torque. This engine is offered with the base trim and comes paired with a continuously variable transmission. The second option is a 1.5-liter turbocharged engine that delivers 190 hp and 179 lb-ft of torque. This engine is offered with the EX trim level. At Renaldo Honda, we have three main goals. First of all, we want you to be satisfied with our service. Secondly, we hope you’ll be comfortable behind the wheel of one of our rides. Lastly, we hope you’re happy with our competitive prices. We offer countless deals and specials that will help you save big. Our deals won’t last forever, though. Stop by soon to take advantage of the savings before they’re gone! Our dealership is conveniently located at 4421 East Dixon Boulevard, Shelby, NC 28152, which means residents of Cherryville, Kings Mountain, and Grover are just a short drive away. During your visit, our friendly and knowledgeable team members will be more than happy to show you around, fill you in on our specials, and let you take a test drive. After all, it’s the best way to get acquainted with your dream ride. We look forward to seeing you soon.